Breakout pop star Anne-Marie will return to Australia - and stop off in Auckland for her first ever NZ headline show - next March and April. Frontier Touring are thrilled to announce that she will be joined across Australia by Glades. 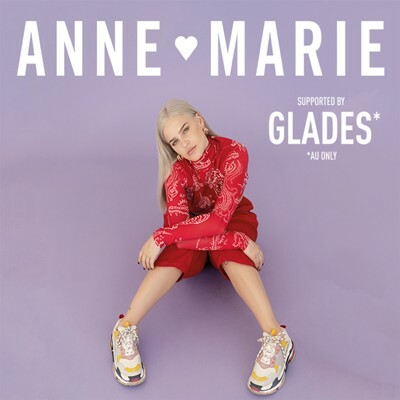 Anne-Marie’s highly anticipated debut album Speak Your Mind (Warner Music), has cemented her place as the UK’s biggest-selling debut artist of 2018. Charting in the ARIA Top 20,Speak Your Mind broke the UK Top 3, spending ten weeks in the Top 10 and already attaining a gold certification.